Photographs in this document are of Assyrian Holocaust Survivors. 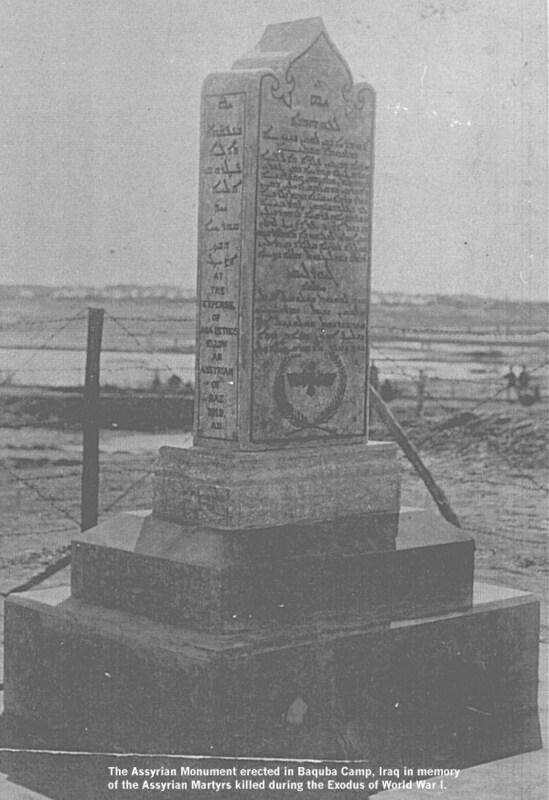 Following dismemberment of Mesopotamia in the immediate aftermath of World War I, the Islamic States of the Abode of Peace denied the Assyrian people access to their own traditional homeland by creating new borderlines. The political borders stood as barriers. They separated the Assyrians and barred them from crossing over to join their kinfolk at the other side of the border. The Assyrians have since become vanquished. Dar Al-Silm states still refuse to recognise the Assyrians as the indigenous people of Assyria. So far, one of the 52 Islamic States has always stood up and rejected a motion to discuss the Assyrian issue when put to the U.N. The Islamic states always blot out Assyrian attempts to preserve their heritage and stand out as an independent people, different in culture from their surrounding Islamic States of the Abode of Peace. The Assyrians live in limbo in full view of the free and democratic world and with the full knowledge of the United Nations and the international community. The world body, in general, and the United Nations, in particular, need to reactivate the Assyrian case, to stand up and face their responsibilities and perform in good earnest the task of resolving the Assyrian outstanding issue justly. They need to review and reconsider the Assyrian issue in good faith, provide true justice, reinstate the true identity of the Assyrians and recognize them as an independent people in their own traditional homeland. The Assyrians are sandwiched between Western imperialism and Oriental colonialism. The international community has a moral obligation to relieve the Assyrians from this intolerable situation. There are scores of tiny independent states scattered all over the world like Switzerland, Monaco, Israel, Kuwait, Singapore and Fiji whose landmass and population is much smaller than Assyria. Assyrians, a population estimated at about five million, combined, with their distinct Aramaic language, history and traditional homeland of highland Assyria, meet all UN requirements for recognition. They are as eligible as any other nation to have their territory back and re-emerge a sovereign state. 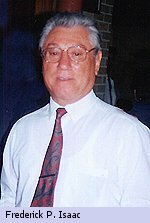 If the International community, headed by the United nations and led by the United States had not saved Kuwait from the Iraqi invasion of the early 90s, the Kuwaitis too would have lost their sovereignty and national identity and become a diminished minority amongst the 14 million Iraqis. Obscuring the Assyrians as �a minority� of no significance maintains a deplorable crime. The Assyrians are not an inconsequential minority; they are a small dispossessed nation. By design, to suit their policy, the Mandated powers partitioned the Assyrian land, and separated its people by newly drawn political boundaries. They decimated a people that for over six millennia were held together by common bond of race, kinship, heritage, language and religion. Fragmentation of the Assyrian people is a harsh reality and they continue to suffer as a result of the selfishness and greed of Dar Al-Silm states, the international community and establishers of the so-called new world order. For ulterior motives, the British failed to acknowledge the reality of the Assyrian people. The desire of the Assyrians, since the First and Second World Wars, was to live an independent life, free from Islamic rule, in their own designated region. The West dashed their expectation for independence from the Islamic domineering rulers. To add insult to injury, the colonial powers, headed by Britain, insistently demanded that the Assyrians be classified as a minority and supported a policy of assimilation, each in its own respective Islamic state, rather than declare an autonomous Assyrian region. The League of Nations, under constant pressure, agreed not to consider the Assyrians a separate people and declined to classify them as refugees. The League stopped humanitarian aid, dismantled relief camps and left the Assyrians to provide for themselves. The Assyrians lost their whole regional territory to neo-Islamic colonialism. The so-called Western allies robbed the Assyrians of their homeland, quashed their aspiration for a rightful place in world society as an independent state and delivered them to their traditional enemies. Significantly, the press scarcely involved itself with the Assyrian issue. It reported matters that related purely to Assyriology and archaeology, and always supported the official version of the day. Western media have since never ever touched on the Assyrian contemporary issue and never dwelt on the Assyrian subject seriously. Western press has never given the Assyrians a share in their press column to explain to the world their circumstance. The Assyrian leaders were under constant surveillance and rebuff. They were censured and denied the chance to pursue their legitimate struggle through media outlets. World media quashed all attempts of the Assyrians so as not to expose the belligerents of their ill boding schemes. They silenced and deported the Assyrian leaders and suppressed Assyrian groups that objected and tried to expose their sinister schemes. They closed all the avenues in the face of the Assyrians, choked their voice and extinguished their cries for a just solution to their tragedy. The newly created Arab state of Iraq, lacking press facilities, had newspapers flown daily to the capital Baghdad for distribution to major Iraqi cities in propagation of their scheme. The West, in collusion with the Arab Islamic states of the Abode of Peace, used Beirut, the capital city of Lebanon, as the local media centre and launching pad, in their campaign against the Assyrians to justify seizure of all the Middle East for themselves. During all that period not a single word was mentioned about the tragedy of the Assyrians. Succeeding in their ploy against the Assyrians, the League Council dismissed the Assyrian case and filed it away in the archives of the League of Nations, and now lies dormant in the United Nations. The quartet, namely Persia, Turkey, Syria and Iraq, launched successive media campaigns against the Assyrians. They massacred, killed, looted and burned Assyrian villages and evicted them en masse from their traditional dwellings and staked claim over the entire Assyrian region and declared it Islamic. The European governments did not raise a finger or protest. Instead, they turned their backs and allowed the Islamic states to complete the job in their own traditional way of the Islamic Shari�a law. During all that turmoil, the international media wrote naught; it hushed its voice and chose to remain silent, breaching the ethical code of its profession. The West, namely, Britain, France, Italy and Germany, had since robbed the Assyrian dead. They dug up, unearthed and plundered ancient cities and graves of the Assyrian forefathers and smuggled the treasures and monuments to the West under the pretext of archaeology and scientific research. The Europeans were more interested in the dead than the living Assyrians, that is, they were more interested in the Assyrian ancient history than the harsh realities of the present Assyrians. The fate of the Assyrian monuments, relics and artefacts end up in the European museums and with art dealers. Historical structures and monuments have also been deliberately and systematically destroyed by Dar Al-Silm states with the same attitude as that of the Taliban to the Buddhist relics of China found in Afghanistan�s mountains. In April 1920 at the San Remo Conference, the French bartered the Mosul Province with the British for 25 per cent share in oil revenue. The Mosul Province then under the French sphere of influence, had earlier been demarcated for the Assyrians. The region exchanged hands and fell under the zone of the British sphere of influence. In 1925, the League of Nations gave the Assyrian homeland of Hakkari, Van of upper Mosul to Turkey. The British, encouraged by the success of its diplomatic manoeuvres, sought relinquishment of the Mosul district from Turkey against ten percent oil revenue for 25 years. The latter acceded to the terms. The British, instead of declaring Mosul a home for the Assyrians, annexed it to Iraq (Polk, 1991: 276). The venal Agreement was not only a breach of trust but also a total betrayal of a loyal people, who had fought by the side of the Allies, and had their fate in their hands (Perley, pp 9-10). History has shown that there has always been a strong Western power that has allied itself with an Islamic warmonger. Britain and France allied themselves with the Ottomans as early as the Crimean War of 1859 against Tsarist Russia. During the First World War Germany and Turkey were war allies. 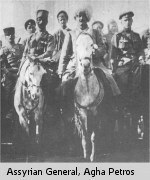 Later, Great Britain and the Arabs became allies, headed by the desert Sheikhs, mainly of the Hashemite tribe of the Saudi families of the Arab Peninsula. After the Second World War, the United States threw its weight in the Middle East and Africa. It helped the Saudi clan to emerge as the leading Arab-Islamic nation in the Middle East. And helped Egypt to emerge as the leading Arab-Islamic nation of North Africa and the Islamic world. To safeguard their interests, Western countries have knowingly aggrieved the indigenous natives. Islamic regimes have been feasting on the misery of the indigenous people with the encouragement and blessings of the West (Hiro, 1989: 55). Assyrian appeals to the players of world politics and key power brokers have had little effect in curbing their agenda of hegemony. Self-interested foreign policy and economic interests has overridden justice. The West, being in control of the global wealth and advanced technology, has forsaken its Christian God. Until recently, the whole of the Western Hemisphere, Europe, Australia and New Zealand, were collectively called the Christian countries or the Christian world. They are now described as the Western countries. They have dropped mention of their religion and seldom identify themselves with their faith as their democracies have become more secular. By doing so, they have earned themselves the name �The West�. Islam fills the religious vacuum left by secular Western democracies. Western countries claim that to maintain a healthy economy, business should be given primacy. The West is more concerned about the growth and enhancement of the economy of their countries rather than risk reducing or losing market outlets by maintaining their traditional Christianity image and so reduce the priority of furthering the cause of human rights. They explain that worship is personal, as far as the Christian is concerned. But when it comes to people of non-Christian faith, in Western countries, the West endorses their religion and supports them as part of their inherent culture. They are obliged to respect and assert them at the expense of the persecuted Christians in the East and the rest of the Islamic countries. Whatever happened to reciprocity? The West has a Christian history, but has largely forsaken it, underestimating the tenacity of other religions that come to fill the vacuum. Irrespective of the state religion, ethnic mix and political persuasion, the way out for the secular governments of the West, is to insist on the sectarian regimes to reform their system to constitutional democracy. The intransigent position and blatant attitude of the Islamic states in the Abode of Peace, in disallowing other than the Islamic religion to be preached and practised openly and freely is indicative of their persistence in following the adamant course of confrontation against all religions. By behaving in this hostile manner, they assert their belief in that the Mohammadan message extends to all humanity, concluding that other religions have reached their end, are undesirable and should be abandoned. Islam looks at all faiths as superseded by its religion. If the Western government system is secular, why do certain European governments, like in England for example, allow, even encourage, the religious body of the Moslem Council of Britain to enforce sectarian laws on community members in defiance of the local judicial system, bearing in mind they are British citizens and the British law has precedence? Yet, the Moslem governments lack reciprocity of freedom of religion in their States of the Abode of Peace. Freedom of worship does not mean that when a Moslem leaves his cocoon, he should disrespect the cultures of other ethnic groups when it does not suit him. Or for that matter go ahead and apply his sectarian law on others publicly and forcibly, infringing on the rights of good law-abiding citizens of other faiths. Islam seems determined to extend its arm of religious coercion outside its Islamic Abode of Peace with open defiance, banning the practice of other religions at home and criticising and threatening them with reprisals abroad. One of the main objectives of the government of Iraq is to arabise and Islamise the indigenous Assyrians. Its aim is to rid Iraq of the �Assyrian problem� and omit their name from its ever forthcoming permanent constitution. The regime�s feverish attempt is to arabise the Assyrians before its barbaric rule ends to gain credence among its radical members. There is no distinction between the current Islamic rulers in the Abode of Peace and those in opposition to them abroad in regards to their hidden agenda of total Islamisation of their States. All comers to power hold to the same policy. The permanent constitution of Iraq was abolished in the aftermath of the July 1958 Revolution The Arab Ba�ath as a one-party state under the Arab Revolutionary Command Council has since ruled Iraq by an interim one. All political parties, except that of the Ba�ath, are proscribed. The Ba�ath motto calls for pan-Arabism of (Umma Arabia Wahida Thatu Resalaten Khalida) �One united Arab nation, of the eternal message� of Islam, implying that other political parties and religions would be negated. For over four decades, Iraq is yet to replace its temporary constitution with a permanent one. Iraq is described by its media as the throbbing heart of Pan-Arabism, the heartbeat of Arab nationalism. With such an attitude, secularisation and democratisation will remain absent from Islamic governments no matter how many leaders are replaced. Instead, it is the constitution that needs to be changed, together with their rulers - the so-called revolutionary leaders. The Assyrians have suffered terribly at the hands of the past and present Islamic regimes, breaking every civil code and denying the Assyrians their human rights to exist as a people. They have denied them equal employment opportunity and freedom of expression by suppression and by closing their schools and all their cultural centres (Pryce-Jones, 1989:18). The Assyrians have at times been harassed, beaten, imprisoned, squeezed out of their wealth and driven to near starvation. With little prospect of improving their lot and of survival under such harsh treatment, the Assyrians� only hope is to resist, fight and die on their soil, or escape the bleak future and immigrate to a Western country. During the Iraq-Iran war of the 80s over forty thousand Assyrians were killed, wounded or lost in action. Thousands more perished during the Iraqi invasion of Kuwait in 1991. This number of casualty for such a small nation is high indeed (Nisan, 1991: 166). Aboriginal people in Dar Al-Silm States are subjected to continuous oppression and humiliation. They live in total anxiety. They are in constant fear of losing their jobs, their properties and their lives. They live in discomfort, seeing their culture and identity being gradually eroded by the domineering rulers. Such repressive measures and inhumane actions have wreaked havoc with the Assyrian way of life and have led to the dislodgement and disintegration of the Assyrian family. Thousands have already lost their jobs and their properties, loved ones are parted from each other and live in destitution. And thousands more are stranded all around their neighbouring countries, in more than 20 other countries throughout the world, extending from Iran to Thailand; from Turkey to the Balkans; from Syria to Armenia and Russia, and from Cyprus and Lebanon to Greece and many other European countries. In Jordan alone there are over 30 to 40 thousand Assyrians. They have gathered there, seeking a way out of their affliction. Many have been trapped in world bureaucratic entanglements, uncertain of their future. Many have lost nearly everything and live miserably. Many depend on donations from their overseas relatives and friends. They are stuck there, awaiting the result of their applications for an entry visa to a western country. Over eighty years have passed. The international community has yet to find a solution to the Assyrian problem. Or is the international community watering the issue down, hoping that it will melt down and in time sort itself out and the problem go away? Perhaps they are too engrossed in draining the Middle East oil to have time to reflect on the inhumane treatment of the Assyrians and other native inhabitants of the Middle East. Although giving alms is one of the pillars of Islam, according to their teachings, Islam does not extend charity to non-Moslems; it is unlawful. Preference is given to Moslems. It is the Islamic (shari�a) law. Yet, it makes monetary donations to Western educational institutions in order to gain praise and win their future academic support. One does not hear of an Islamic charity organisation that includes non-Moslems as regular recipients. The Assyrians are not asking for charity. The Assyrians demand restoration of their legitimate rights as human beings (Kharroufah, 1991: 26, 27). Some foreign individuals, who are academic and influential in certain quarters and abroad, describe the Assyrians as peasants and aliens to Iraq. To justify his government's policy of suppression of the Assyrians, Abdul Rahman al-Bazzaz, the Iraqi ex-Prime Minister of the mid-sixties, published a book in which he demeaned the Assyrians, describing them as primitive aliens and foreign intruders to Iraq. Robert Springborg, Senior Lecturer, in Middle East Politics, Macquarie University, NSW, Australia, in an article he published in the Sydney Morning Herald in the late eighties, described the Assyrians as backward and uncultured peasants. On behalf of the Australian government and its allies, the article rebuffed allegations of ill treatment of the Assyrians. It reassured endorsement of the British old policy and its allies of the millet provision against the Assyrians, corroborating their biased reports, in complicity with the Iraqi sovereign rule of Saddam Hussein. The newspaper in question and other local newspapers refused to publish the Assyrian response to Mr. Springborg's false allegations. By distorting facts to please their masters, people like them play down the inhumane treatment of the Assyrian people. Falsification of truth encourages the regime of the tyrant Saddam and others to continue to pursue the policy of indolence against the Assyrians. Individuals like them, who deny the truth, claim that the Assyrians make such allegations because they are far below the educational standard of the rest of the Iraqis. They describe them as uncultured peasants that have only recently drifted from northern villages into big cities in search of better job opportunity. It was with the efficient help of the so-called Assyrian �uncultured peasants� that the British were able to run the oil companies of Iraq since 1936 until its nationalization by the Iraqi regime in mid-1974. This is how the British reward the Assyrians for a job well done. It is not surprising that the British have always rubbed shoulders with enforcers of the millet provision, treating the native inhabitants as Indians of a lower caste. The Assyrians have been living in their traditional homeland of their capital city Ninveh of the Mosul territory and the highlands of Arbil and slopping planes of Kirkuk of northern Mesopotamia for generations. They had been living there long before its conquest by the Arabs in the mid-7th century AD, and creation of Faisal�s Arab Hashemite Kingdom of Iraq by the British in the early 1920s. Those who claim that the Assyrians are foreign intruders and uncultured say so either under compulsion or for personal gain. They are either ignorant or feign ignorance to please the hierarchy and their petrodollar masters. For over fifty years, the British controlled Iraq through the loyalty, bravery, discipline and fortitude of the Assyrians. They controlled elements hostile to the Arab Iraqi central government; aborted rebellions, quelled armed resistance, safeguarded oilfields, oil pipelines, and protected the expatriates and their families. 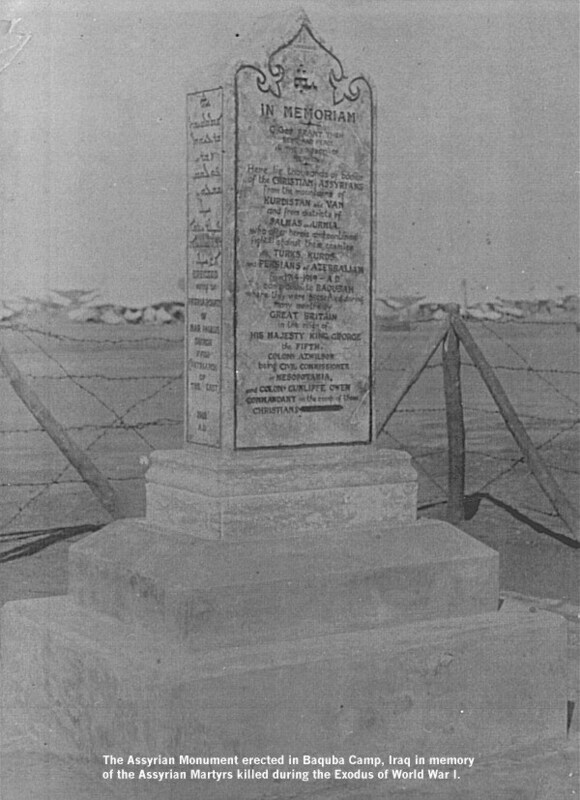 The British at the Habbaniya Air Base and Shu�aiba, along with the Assyrian Levies, maintained law and order and normalised life throughout the whole of the country for over half a century. Below, Perley describes the heroic and loyal service the Assyrians gave the British vis-a-vis their mistreatment and betrayal. In recent past, a couple of academic mercenaries have dared accuse the Assyrians of being no more than an ignorant bunch of uncultured peasants. Unfortunate, may be, but uncultured, far from it. The Code of Hammurabi that goes back to 1902 BC and the Assyrian so-called �Mona Lisa� of Nimrud put such accusers to shame. British show of support to the Assyrian cause has always been rhetorical without any substance, failing to produce any meaningful results. It is not surprising that after reading such unbalanced reports, Islamic regimes like Iraq, Nigeria, the Sudan and Indonesia become emboldened to continue to come hard on the non-Moslem native inhabitants, by introducing the Shari�a Islamic law and applying it on all their subjects regardless. The Assyrians were forced to move into towns and large cities for lack of jobs in the north. The Iraqi regimes not only did not create jobs, but also made it very difficult for the Assyrians to remain in their villages and on their farms in the north. The Assyrians after being displaced and left unprotected fell victim to their hostile environment. Dispossessed and struggling for survival, they became a scapegoat for Britain�s greed to promote its interest in the region at the expense of the dispossessed Assyrians. In the ensuing turmoil, many to escape persecution, wandered aimlessly looking for safety and substance. Others immigrated to various countries, especially after the August 1933 Semaili massacre. Since ascendance of the tyrant Saddam to power, the overall conditions of the Assyrians have worsened and they live in misery. (Pryce-Jones, 1989: 169-170; Polk, 1991: 127; Nisan, 1991: 164). Members of the International community are either inept or do not want to indulge themselves lest they offend the hierarchy, or their Arab Moslem �friends�. The world has a moral obligation and equally responsible role to play in reporting the truth about the deplorable conditions under which the Assyrian people live worldwide. In Iran, the Assyrians, Armenians and Baha�is have been pushed to the limit in compromising their culture in order to survive the rigid Islamic regime. Their attempts to restore their identity and survive in an ever-suffocating atmosphere, loaded with tension of Islamic fervour, have reached a desperate point. While in Iraq, survival of the Assyrians and other Christian minorities is at the mercy of Saddam Hussein, his clique and his petty tyrant sons Ouday and Qusay. In Turkey, since 1986, hundreds of �Suroyo� Assyrian villages have been burnt down, and over eighty churches destroyed and their farmlands and properties taken away by the Moslem Turks. Over one hundred thousand Assyrians, residents of Turkey, have since fled to European countries such as Austria, Belgium, Germany, Norway, Sweden and the Netherlands. The reason for all this is ignorance or indifference of the world body to the Assyrian tragedy. In Syria, in the Tal-Tamir and Khabor region of Al-Hasaka Province, there are over 34 Assyrian villages and towns dotting the riverbanks of the Khabur River. This river is their lifeline. The villagers depend on its water for drinking, for domestic use and irrigation of their farmlands and vegetable gardens. Recently, the Khabur waters have almost dried up. The Syrian government has, for sometime been diverting its watercourse to irrigate lands owned by Arabs. In addition, Arab villagers have drilled thousands of artesian wells that have led to exhaustion of the waterbed. Consequently, the level of water has dropped frighteningly low. Its dried up bed has devastated the villagers. Only bodies of water in pools of natural land depressions and swamps, remain. They are unfit for human and animal consumption. Water has become a rare commodity. Drinking water has increased sharply in price, and is beyond the reach of the average householder. The Assyrian villagers had earlier approached the Arab Syrian government and sought its advice and help. The government promised to look into the matter to resolve the problem, but did not. The problem remained unresolved. It escalated and reached crisis point. In sympathy with their brethren in Syria, Assyrian communities in America and Europe donated funds to buy several water tankers to supply the villages with drinking water as a temporary relief measure. This humane deed aroused the jealousy of certain selfish elements in the Arab Syrian Government. They were upset and criticized the project and accused the Assyrian committee, in Syria, of profiteering and nepotism. In June 1997, the Syrian security forces arrested several prominent members of the Assyrian committee on charges of distortion and conspiracy and threw them in jail. No wonder that UN agencies and members of the international community do not hear of such a situation. The safety and well being of the Assyrian people has never been of much concern to media outlets or any body else. To the outside world, it is a domestic matter, because they are considered Syrian citizens. The mass media know how to trick themselves out of such a sensitive issue, and play down the seriousness of the matter. The United Nations allocates fund to drill artesian wells to supply villages in developing countries with potable water. It prides itself on rendering humanitarian service. Assyrians deserve such assistance but do not receive it. Islam does not extend humanitarian assistance to non-Moslems in their countries. Islam considers such assistance as charity. Charity to non-Moslem in the Islamic Shari�a is unlawful (�Haram�). If so, the UN has constitutional right to interfere and rescue the stricken people. They are struggling to survive against barrenness of their farmlands, draught and scarcity of water. The responsibility of the media is to lay bare the facts and spell out the truth, and report the events honestly and with impartiality. As a mirror, they should reflect the true image of the event rather than distort and falsify facts. The Assyrians have the right to their share of the media column in order to tell their side of the story. The media need to alert the right agencies to the plight of the Assyrians that humanitarian agencies may look into their grievances to gain adequate support. World news agencies have never taken the Assyrian issue seriously. Journalists have completely ignored the Assyrian deplorable state in the Middle East in their press reports. Western printed press is indifferent to their plight. The Assyrians have no access to share in the news column to attract world attention to their problems. The press has repeatedly declined to report events relating to Assyrian issues. Since the Iraq-Iran War of the 80s and later the Iraqi invasion of Kuwait in 1990, the world has heard about the state of every ethnic group and faction living in the Middle East: the Arab Druse, Shi�ah, Sunni, Kurds, Turkuman, Persian Baha�is, and Iraqi Yezidis, - yet, not one single word has been uttered about the Christian Assyrians. Why, has the Assyrian person in the Middle East become so insignificant to the Westerner that his life as a human being no longer counts? World Body is reluctant to resurrect the Assyrian case - the case of the forgotten people. The situation continues to deteriorate since the Assyrians have no one to turn to, and no one seems to want to acquaint himself with their plight. World organisations do not want to understand or concern themselves with the Assyrian issue. To them the Assyrian case seems to have been classified as low priority. In their view, there are other more important issues to tackle first. Like Palestine, Cyprus, East Timor, Lebanon, Afghanistan, Rwanda and Bosnia and scores of other conflicts, which if spanned with the time of the Assyrian issue, are all considered new that have just recently emerged. By the time one conflict is resolved, like South Africa for instance, two or three other new conflicts emerge. They crop up and surface like poisonous mushrooms. They contaminate the world with their wanton action of violence, destroying property and shedding innocent blood. While the world is in turmoil, the Assyrian case is buried under a pile of unresolved problems of the world. Sitting there at the bottom of the tray, or shelved somewhere in the archives gathering dust. Since the days of the defunct League of Nations, the Assyrian file is forgotten under an ever-increasing number of new cases. Most of the pending files are marked high priority, except that of the Assyrian, with little chance of the Assyrian file and legal documents ever being located and the Assyrian issue raised, offered for discussion and given a fair hearing. The apathy of the UN to the Assyrian question is a reflection of its incompetence and kowtow to the Arab Islamic influence and duplicity of Western powers. Human rights are being violated nowadays without much concern from the United Nations. United Nations agencies may be aware of the tragic situation but are unable to act effectively, mainly because it lacks adequate power to act to remedy the situation when called upon. The UN lacks certain enforcement laws that leave her powerless and unable to intervene forcefully. There are over 27 million refugees and the number is on the rise daily; and millions more oppressed and displaced people, scattered all over the world. Destitute, they live in misery, as a result of corrupt governments, extreme nationalism, religious and racial discrimination. Whether for economic, political or religious reasons, non-Christians are seeking a way out of their misery. Their motivation to defy the authority stems from lack of local constitutional reform and protection of the individual, in the field of social justice, civil liberty and religious freedom. They smuggle themselves out into other more democratic countries as a last resort since corrupt governments ignore their human rights and welfare. The aggrieved individual is either miserably impoverished, intellectually more independent or simply pursues a faith different from that of the state religion. Millions of aboriginal peoples, spread all over the globe, are entitled like the rest of the human race to live as human beings in peace and dignity. They are part of the human race. They are members of this global community and the UN should treat them as such. The duty of the world community or advocates of the so-called New World Order are to urge the United Nations to legislate adequate laws and build an international force that will enable it to enforce its resolutions effectively. The UN would have the legal power to pass certain resolutions that would become binding on unrepentant rulers to provide constitutional protection for the indigenous nationals. In extreme cases the UN may also be given the power to remove and reconstruct the political borderlines of undemocratic and repressive states that continue to oppress the indigenous natives, committing human rights violation with extreme brutality. There are certain countries that despite their defiance of the UN, and refusal to comply with its countless resolutions, continue to enjoy full membership and participation in decision making and casting of their vote. The international community should impose time limit on governments of such corrupt regimes to clean up their act or those responsible be faced with indictment and tried by the Permanent Court of International Justice (PCIJ) at the Hague. Otherwise, the UN will simply become an instrument in the hands of the powerful and the very rich, alternating between the big powers and the influential multinational organisations to achieve their objective whatever the human cost, as did the defunct League of Nations to the Assyrians and other aggrieved indigenous people. The League of Nations was brought under the thumb of the mandated powers. Which direction is the U.N. going? Nigeria is a graphic example. The heavy boot of the despotic military regime on the Ogoni tribe has devastated its people, in complicity with the greed of the multinational oil companies. They have ruined their farmlands, polluted their rivers and water resources, burned and destroyed their villages. The regime through its militias, guised under the so-called internal security forces, has hacked to death and maimed hundreds of the Ogoni men, women and children in full view and knowledge of the world, just because they are ethnically different, non-Moslem and dared demand their basic rights as rightful citizens of the country. This is a typical method of their military and one-party system, guised under constitutional democracy. They employ suppressive measures to subjugate and cow factions and sects that are different from them in culture and religion, applying the abhorrent millet provision of the Islamic Shari�a rule of law. If the multinationals are ignorant of these facts then they are incompetent and should not be there. They should either mend their act, or stop their exploitation and pull out. The multinationals are as much responsible as the corrupt regimes for their greed and iniquities. The Ogoni people and those adversely affected as a result of exploiting their land and natural resources should be constitutionally protected and individually and directly compensated in cash and kind. With the introduction of the Shari�a Islamic Law as recently as this year, the future of the Nigerian Christians is bleak and their survival dim. Several Islamic regimes follow this inhumane pattern of behaviour. They apply it to all non-Moslem communities, sometimes nonchalantly, and at others, puffed up with an air of confidence and authority as being the future heirs and masters of the world. The UN needs to be empowered to enforce its resolutions forcibly to enable it to redress such abhorrent injustices. The Sub-Commission on Prevention of Discrimination and Protection of Minorities, under the Commission on Human Rights of the United Nations has as recently as August 1994 approved the draft Declaration on the Rights of the Indigenous Peoples. It is a sign of good omen. It is a step in the right direction towards restoration of the rights of the disinherited aboriginal peoples (Gray: 1995, Part VI, p10). Many domineering countries have deliberately dislodged the indigenous people from their original dwellings and depopulated their villages such as in Turkey, Lebanon, Syria, Iraq, Egypt, the Sudan and Algeria. Islamic governments confiscated lands of the indigenous people and declared them government property. The natives were dispersed to remote areas and resettled in inhospitable locations without adequate amenities. Instead of treating them with respect and giving them their due place in society as rightful owners of the land, the Islamic governments categorize them as a �diminishing minority�. They downgrade their status and active role in the government to destroy their social fabric. They describe them as unimportant and burdensome on the treasury and bemoan them as a dying or disappearing race, heading towards total extinction, extending from Turkey and the Middle East, all throughout the North Africa and archipelago of Indonesia. The Assyrians, combined, are estimated at about five million throughout the world. Their systematic persecution by their domineering rulers over the years has reduced their number in their ancestral land considerably. This does not mean that the Assyrians are extinct as the government of Iraq and other Islamic countries of the Abode of Peace want the world to believe. Dispersion does not mean extinction. Iraq distorts the truth and falsifies textbooks of history and social studies about the Assyrians. It is a discriminatory policy to undermine and demoralize the Assyrians. It is part of its policy of the educational curricula that it teaches in schools. There is no free and direct access for the media or a UN representative to verify such allegations. The world may reluctantly accept the false Iraqi version of its Bureau of Statistics at face value. It shows the total Assyrian population as less than one per cent (1%). The Iraqi government classifies only the �Nestorians�, members of the Ancient Church of the East, as Assyrians. The remaining sects that make a sizable majority are officially classified by the Iraqi government as non-Assyrian. They are categorised as �Chaldean�, �Jacobite�, or Christian �Arab�. They are enumerated on separate census sheets as non-Assyrian Iraqi citizens to reduce the true number of the Assyrian population in Iraq to insignificance. By this deceptive method the Iraqi government distorts the national identity of the Assyrians, derogates their social status and makes them look in the eyes of the world as insignificant sect groups of alien origin. Syria adopts the same policy on the �Syriani� and �Nestorian� Assyrians. Imposition of censorship and total restriction on free press is part of Iraq�s suppressive policy. They have attempted to disintegrate the Assyrian aboriginal people. It is cultural genocide against the Assyrian people. Without an indigenous representative, elected by the indigenous people themselves, to speak on their behalf, the despotic regimes play down the significance of the Assyrian culture and always have the upper hand over attempts to expose their ill treatment. Besides seizing their land, showing the total Assyrian population as less than one per cent (1%), such oppressive regimes also dictate their will on the Assyrian people by adopting a blanket policy of silence against them. The outside world listens to propagation of the official version of the ruling governments. The aboriginal nationals have no say in regulating their life. They are prisoners in their own homeland. Islamic regimes insulate the Assyrians from the world�s view and the media as if they do not exist. The UN in recognizing the holistic aspect of the indigenous territories has also extended its recognition to the disinherited aboriginal peoples to own, develop, control and use part of their ancestral lands. Acceptance of the final draft of the Declaration calls for celebration. Its endorsement gives the aboriginal peoples a glimmer of hope. It restores confidence and dignity in them as part owners of their fatherland and masters of their own destiny. It renews the hope of the aboriginal people in rightfully regaining part of their fatherland. As the saying goes, there is light at the end of the tunnel. Resurrection of this long awaited redress should be marked as a special day and be celebrated annually as a mark of triumph over injustice. It resembles the master who left the 99 sheep and went looking for the lost one and found it. Aboriginals need to have a recognised and respectable place in existing societies. They need to be accepted as full citizens to contribute to their country and share in running their affairs in harmony with the rest of the citizens as good and progressive subjects. Long experience has shown that band-aid solutions and �quick fix� do not heal deep wounds. Old scars are unpleasant reminders of the painful conditions under which the indigenous peoples have been living for hundreds of years. Long lasting resolutions is the right way to go! The United Nations Organisation needs to amend and introduce new international laws to be in commensurate with their obligations. It needs to pressure undemocratic countries to reform their constitution in compliance with the UN directives; or else be suspended from participating in certain UN activities, lose their vote and indict their corrupt and unrepentant leaders. Although tedious and wearisome, this uphill battle against those regimes that continue to discriminate against the aboriginal people will bring a sense of self-criticism and reproach to such cruel regimes. It will arouse in the majority a sense of responsibility for the unacceptable behaviour and maltreatment of the indigenous people. It is a move well founded. The reluctance to reach a compromise will expose those regimes to the international community and world at large. Since the land of the indigenous peoples was taken illegitimately - forcibly by the warmonger through military invasions and conquests to increase their landmass, or by manipulation and deception - the aboriginal people have every right to reclaim, if not all, at least part of their ancestral land. Regardless of how long a period or strong a foreign power has been ruling the embattled indigenous people, it should reach a compromise for an enduring peace with them. The domineering belligerent government has intentionally forced itself on another people�s territory without their consent. By definition, it is a criminal act. Besides evacuating the usurped land, the hostile government should also extend its apology for causing years of estrangement and sufferings to the respective indigenous people. The Assyrians are not demanding a �pound of flesh.� They are not seeking vengeance. They are asking back what is rightfully theirs: they want their land returned to them. They want to unshackle themselves from oriental foreign rule that they may live in freedom and with dignity that peace and stability might prevail in the region. The Moslem invaders should recognise Assyria, in Northern Mesopotamia, as Assyrian territory and the Assyrian people as the traditional owners of the land. The Assyrians have suffered enough under the guise of their brutish rule of religious tolerance, equivocal determinism and culture cult. Let the spread of the (Da�awah) mission of their Beneficent and Merciful Allah reflect in their good deeds and benevolent actions, rather than by incitement and defamation against other religions and incursion. This approach will bring peace, enhance the economy of the country and bring stability and prosperity to the whole region. 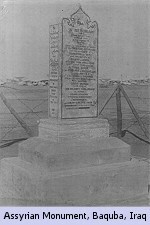 To guarantee success of this approach, good faith and sincerity should be firmly concluded not by reaching an entente, but by a written agreement and its endorsement at the United Nations to become an historic moment of triumph and a landmark of recognition of human rights to the Assyrians and all future aboriginal peoples of the world. According to the United Nations Charter, all peoples have the right to self-determination. Nations that have taken other people�s lands are bound by the international law to relinquish them to their original owners. Billions of dollars that is being spent annually on deployment of peace keeping force to maintain peace through divide lines, exclusion zone, no-flight zone, buffer zone, safe haven zone, could be diverted to bringing real peace by allowing the indigenous peoples to self determination, removing such interim control points and resolve the problem permanently. The international community should pressure the countries in question to accept the concept of self-determination, and co-operate with the UN to implement forthcoming resolutions in favour of self-determination of the aboriginals in their ancestral lands. Adamant refusal will continue to arouse tension and escalate world problems. The UN will lose its credibility and be discredited. The UN has the legitimate power to form a physical force of international capability to enforce its resolutions within a set and firm timetable. Many conflicts, instead of being resolved drag on for decades, with little concern about the interest and sufferings of the people of the country caught up in such conflicts. Overtime, the conflicts remain unresolved and harden to the point that U.N. Peace-Keeping forces become a daily feature and their manned stations take the form of permanency such as in Cyprus, Lebanon, Iraq and scores of other places in Africa and the Balkans. Powerful and influential countries, dominating the scene of international politics, each tilts its influence and decision in favour of the country that best protects and serves its interests. By turning a blind eye and maintaining silence such leading countries help the aggressor to consolidate his position and harden his stance against the aggrieved. This policy on the part of certain leading countries crushes the hope of the wronged peoples that look up to them as impartial, just and responsible leaders. Many people envisaged the UN as the leader of the new world order, that it would take up the challenge and form a global force and act responsibly to reduce tension and bring relative peace and stability to the world. If the world body through the UN cannot do it, no one else can. World tension will escalate and chaos and misery will overwhelm the world. Millions of disinherited peoples experience it daily; they live it. Is the UN waiting for the undemocratic regimes to willingly accept and implement UN resolutions; and to amicably grant the aboriginals their legitimate right in reclaiming ownership, or at least, part of their usurped land? Billions of dollars that is being spent annually on peace keeping and refugee care, could be diverted to bringing real peace, reforming military regimes and dictatorships to secular, civil and democratic rule, and by allowing the aboriginals to some sort of self-autonomy. By pressuring autocratic regimes to democratise their systems, abuse and mass migration will diminish. Besides criticizing a corrupt regime, the UN should find ways to help democratise such a system and indict future leaders that return to dictatorship. If the ultimate aim of the UN is to maintain peace, then helping the moderate minded leaders to democratise their systems and help the indigenous people to restore their basic rights will lessen tension and bring peace and amity to the world. By restoring their dignity, the indigenous peoples will contribute to the world community, according to their ability, yet proud of their culture and heritage as any other nation. Their contribution in shaping the world of tomorrow will work towards bringing durable peace and stability that all the nations may live more harmoniously. May the pleas of millions of dispossessed and suffering peoples reach the ears of the world community leaders and nudge their conscience. May the pleas of the dispossessed natives touch their hearts that they may care and rescue the indigenous peoples and ease their chronic plight. Urgency to remove tension and bring understanding lies mainly with the UN, the international community and responsible leaders. They need to make serious efforts to redress grievances of the indigenous and oppressed peoples before fulfilment of the prophecy of Isaiah 2:4. The human right situation will worsen and have a far-reaching and devastating effect on ethnic groups in all undemocratic countries of Asia and the Far East. For fear of losing trade with more aggressive competitors, industrialized countries allow the exploitation of convicts and children. They encourage developing countries to exploit them as child labour, child soldier, child farmer and child domestic slave. Enslavement and treatment of human resources as a commodity to manufacture cheaper goods and enhance trade in competition with the modern technology and automation leads to degradation of human dignity. It becomes more costly to maintain world peace. In some instances the UN instead of assuming the role of world leadership and acting accordingly drops in status from arbiter to middleman as it happened in Rwanda and Burundi where thousands of innocent lives were lost; a bad reflection on her image that loses her prestige. 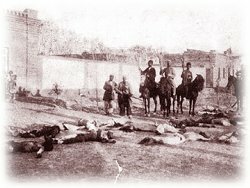 During World War I, the Ottoman Empire massacred millions of innocent Armenians, Assyrians, Greeks and other Christians. It expelled hundreds of thousands more from their homes and seized their land, in particular the Assyrian Hakkari highlands of the Van District. During World II the Axis Powers, specifically Germany, targeted the Jews. Over six million civilian Jews were brutally killed, massacred and gassed to death. Leaders of such nations died terrible deaths and their dreams of building an empire crumbled with them. Other leaders were punished for their crimes, their arrogance and cruelty against humanity. The notion of building empires on human misery is yet to be extinguished amongst regimes and by the more progressive democratic governments. The usurped homeland of the Assyrian people must be freed from oriental colonialism, either politically or by legitimate force, through the United Nations and open support of the international community, in fulfillment of their commitment to human rights as prescribed in the UN Charter. So should territories of other aggrieved peoples if no acceptable compromise is reached between the two parties concerned. If, as the Arab saying goes, �God's earth is vast�, then why hold on to other people�s land? In the past fifty years the world has changed very dramatically and so has the United Nations in its concept, forbearance and concern over abuse of human rights, and the welfare of humanity and its well being, viewing inhabitants of this planet earth as an extension of world family. Settlement of the Assyrian question has long been overdue, ever since the fall and disintegration of the Ottoman Empire in the early 20th century, and colonization of the Middle East by the Dar Al-Silm states of Islam. The duty of world democratic institutions is to cooperate with the United Nations, take up the subject of the Oriental decolonisation seriously to extend its arm and apply it with the full force of the law to free the world from all forms of colonialism and oppression that equity and peace may prevail. Based on this view, it is appropriate for the United Nations to re-open and bring up the unsettled question of the Assyrian homeless people. The UN, in compliance with its charter, has the legal right to take up the challenge and seriously review and re-examine the unfinished business of the Assyrian displaced people. The UN needs to stand up to its beliefs, exercise its duties responsibly and perform in conformity with the prescribed stipulations of its charter. It should take appropriate measures to resolve the Assyrian outstanding problem and reach a just solution, in restoring their homeland and rehabilitate them in their traditional region which falls within the four domineering Dar Al-Silm Islamic states of the Abode of Peace in the northern region of Mesopotamia. The world looks up to the UN as its deliverer. It needs to stand up to its beliefs and apply itself accordingly, in defending and protecting the aggrieved, and reduce the exploitation of the weak and the impoverished by the strong, bringing peace, justice and equity. The Assyrians, being dispossessed, have been denied their national identity are scattered all around the world, not allowed to return to their homes, are on the run looking for a place to toil and live in peace. It needs the political will of a determined and resilient body of high morality to re-activate the subject file of the Assyrian people and resolve the outstanding question in the spirit of true justice. With the good efforts and wisdom of the majority of its members, the United Nations is able to adopt a new line of approach of boldness and fortitude, and free itself from the entanglements of past errors of the defunct League of Nations and act with a clear conscience in its capacity as an arbiter and peace maker, and not a mediator. The Assyrians will continue to strive for attainment of their rights. Being Christian peoples, they place their hope in their Creator and the goodwill of the international community and the world body of the United Nations. May Job 14:7-9 be fulfilled for the restoration of Assyria and the peace described in Isaiah 19:23-25. Fulfilment of this prophecy will set an example for the rest of the nations to live in neighbourly peace with one another. gave the Janissaries full authority in levying tax. Turkish masters, especially the military corps. Janissary as a dispensable commodity. throughout North Africa to the Balkans. Majlis		Council (Majlis al-Shura = Consultative Council). conquests, beginning in the mid-7th century AD. Nestorian, Chaldean, Jacobite, Maronite etc. bound by the Islamic law of the land. Mujahideen	Strugglers (for the sake of Allah). Muta-wwa	Mutawwa = Religious police, in Saudi Arabia. and punishes those who break the Islamic law. Shura		Consultation, (noun). Consultative, adj. umbrella of Umma � one nation government. (Ummat Al-Islam) the Nation of Islam. Wakheema	Dire; disastrous. Pronounced: Wa-Khee-Ma. ABDUL-HAQQ, Abdyiah Akbar (1980) Sharing Your Faith with a Moslem. Bethany House Publishers: Minneapolis, Minnesota, USA. ABURISH, Said K. (1995) The House of Saud. Cox & Wyman Ltd., Berkshire, England. AL-JAMAL Publication - Arabic - (1991) - The Arab Woman in the Peninsula: Saudi Arabia. Al-Kamel Verlag: Koln. AL-NAHAR Arabic Weekly (25 April 1996) Regarding Sheikh Al-Azhar Fatwa (Edict): Dulwich Hill, NSW, Australia. BAYYUMI, 1979 � see Hiro page 316. BOUSTANI, Rafic The Atlas of the Arab World. Geopolitics and Society: New York, USA. BURNS, Robert E. (1994) The Wrath of Allah: A. Ghosh: Houston, Texas, USA. CURETON, W., D.D., F.R.S., (1848) Ancient Syriac Documents relative to the earliest establishment of Christianity in Edessa and the neighbouring countries, from the year after our Lord�s ascension to the beginning of the fourth century; discovered, edited, translated, and annotated by the late W. Cureton, D.D., F.R.S. Williams and Norgate, 14 Henrietta St., Covent Garden, London, England. GILBERT, Martin (1998) I S R A E L � A History: A Black Swan book, Transworld Publishers Ltd., London, England. GRAY, Andrew - Indigenous Peoples at the United Nations: The Declaration Reaches the Commission on Human Rights. HERSH, Seymour M. (1991) The Samson Option Random House Inc., New York, USA. HIRO, Dilip (1989) Islamic Fundamentalism. Harper Collins Manufacturing, Glasgow, Great Britain. HOWARD, Sanford R. (1995-1999) L�CHAYIM (Life) � Finding the Light of Shalom [Peace] - What the 14 Rabbis Never Told You! � San Enterprises Inc., THORSBY, AL 35171-0623, USA. HUTCHISON, Robert (1997) Their Kingdom Come - Inside the Secret World of Opus Dei � Cox & Wyman Ltd., Great Britain. KHARROUFAH, Prof. Dr. Ala�ul Deen (1991) The Judgment of Islam on the Crimes of Salman Rushdie. Percetakan Zafar Sdn. Bhd: Kuala Lumpur. Or 7735 S. Lotus Ave., Burbank, Ill 60459, USA. MAWDUDI, Abul A�la (1992) Towards Understanding Islam. The Islamic Foundation, 223 London Rd., Leicester, LE2 1ZE, United Kingdom. MICHAEL Avi-Yonah and Emil G.Kraeling (1972) Our Living Bible: Kingsport Press, Tennessee, USA. NISAN, Mordechai (1991) Minorities in the Middle East. McFarland: Jefferson, North Carolina, and London. POLK, William R. (1991) The Arab World Today. Harvard University Press, Cambridge, Massachusetts, London, England. PRYCE-JONES, David (1989) The Closed Circle. George Weidenfeld & Nicolson, 91 Clapham High Street, London, England. ROSE, Norman (1994) Churchill � An Unruly Life. Simon & Schuster Ltd., London, England. el-SADAT, Anwar (1977) In Search of Identity � An Autobiography. Harper & Row, New York, USA. STAFFORD, R.S., Lt.-Col., D.S.O., M.C. (1935) The Tragedy of the Assyrians. George Allen & Unwin Ltd., Museum St., London, England. STUMP, Keith W. (June 1983) The Plain Truth Magazine. Sydney, NSW, Australia. THE HOLY BIBLE, (1993) New King James Version: Life Application Bible; Tyndale, Illinois, USA.